The court also observed that location of the crime could not be proved despite availability of mobile phones which could have helped establish it. NEW DELHI: Two persons have been acquitted of the charge of trying to kill a policeman by firing at him with a Delhi court saying the evidence led by the prosecution was "iffy" and uncertain. 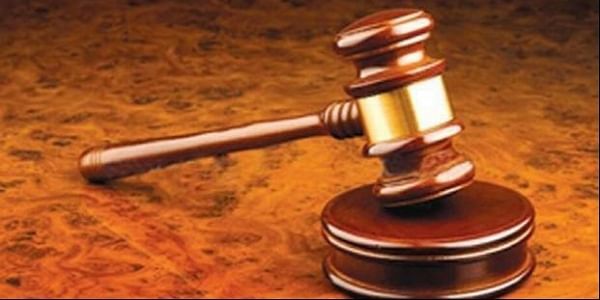 The court absolved the accused of the offences of attempt to murder and assault on public servant to deter him from discharge of duty under the IPC and provisions of the Arms Act, noting that the fired bullet could not be recovered which was a "serious flaw" on the part of the prosecution. "The fired lead could not be recovered. This is a serious flaw on the part of the prosecution as the same would have proved that it was fired from the pistol allegedly recovered from possession of the accused which also casts doubt on the prosecution story as a whole," Additional Sessions Judge Sanjeev Aggarwal said. "In the present case, the incident is of the year 2012. At that time, mobile phones were freely available and were possessed by all common people including police officials. "In the present case, the best way for the prosecution to prove the location of crime was to prove the CDRs (call detail record) of all members of the police party at the relevant time to show their location at the place of the incident which could have clearly proved their presence at the spot and would have duly corroborated the prosecution story regarding the time, place and manner of incident," it said. "The accused persons cannot be convicted in a case, where the evidence lead by the prosecution is of uncertain or iffy nature," the court said. It further noted that no scientific investigations have been carried out by the Investigating Officer "for reasons best known to him despite the availability of scientific evidence in the shape of gunshot residue test, finger prints and evidence that the fired lead was discharged from the weapon found in the possession of accused." According to the prosecution, a team of police officials had gathered to arrest the accused in a separate robbery case on January 20, 2012 when one of the accused fired gunshots at one policeman, injuring him while the other accused allegedly tried to attack a cop with a knife. The two men were arrested by the police under various provisions of the IPC and Arms Act. Denying the allegations levelled against them, the accused claimed they were falsely implicated by the police. The court while acquitting them, said, "The prosecution evidence as a whole is not trustworthy, therefore, it is not safe to convict the accused persons on such kind of evidence."